Clearly Claire Snyder-Hall is another Jack Markell pick to go against Sen. Ernie Lopez for the 6th Senatorial District, that is no secret. And how did that work out last time? But I noticed today that on her Facebook page that she has come out against the proposed Overbrook Town Center. This project would bring hundreds, if not thousands of construction jobs to the Sussex area for a minimum of three to four years just in the construction stage. Once built it would then provide retail jobs, and before someone starts talking about needing more than just minimum wage jobs, let me point out this project would lead to more than just retail jobs. First of all there would be opportunities for advancement to management level jobs, but beyond that, there are all of the peripheral jobs created and supported. You see, in a project the size of the one proposed, there are any number of supporting industries, or venders that will benefit from this project. During the building phase you would have carpentry, and concrete, and all of the other trades employed, like electrical and plumbing. All of these trades will need the supplies to do their jobs. These supplies will be brought here by truck drivers. Also consider that these people may either already live here, or may move here during the construction of the project, and decide to move here permanently . They will spend their money at existing stores and businesses, they will buy or rent homes, they will hire other services that we all use from time to time. The same will hold true after the project is completed. The people hired will spend their money at other businesses in the area. Contractors will be hired to cut the grass and maintain the landscaping. There will be a maintenance crew to handle the day-to-day small repairs, and outside contractors will be called in to handle the larger inevitable problems with lighting, plumbing and other issues. First of all it is only her assumption that “most” of us stand opposed to this project. Second of all, this is a Sussex County issue, so why is Ms. Snyder-Hall, who is running for a state office, attempting to influence local government? Is this an example of her Democrat belief that all decisions should be made from a more centralized form of government? Thirdly, her attempt at fear mongering when talking of traffic gridlock does not inform the people, the developer has already agreed to add an over-pass, which would actually relieve some of the already existing traffic issues in that area. As for protecting the so-called quality of life? Well that is quite funny considering that Ms. Snyder-Hall is not native-born to Delaware, her hometown is listed as Sarasota FL., and she now lives, I believe, in Rehoboth Yacht and Country Club. WOW! I’ll bet that was once open fields before the mean, old, big developer came around and built all those homes for people to move here and impact the quality of life, of the people born here, huh? And I am sure that Ms. Snyder-Hall and her partner never shop at the Outlets, you know those big shopping centers that sit in what used to be open fields, and which certainly added to our traffic problems here in Sussex. Oh Really? While I have not taken the time to completely check every donation to Ms. Snyder-Hall, a simple glance through it showed a few things. While it may or may not be true that she has not accepted money from as she calls them, “large developers“, she has no problem accepting money from special interest groups like $200.00 from the Delaware Stonewall PAC, a group focused on LGBT issues. So you see, Ms. Snyder-Hall says she is not in anyone’s pocket, well as is often the case, that may not be completely true, it is only a matter of whose pocket she chooses to be in. While she may choose not to accept money from developers who would create jobs and opportunities, she has no problem being in the pocket of special interest groups that work at social engineering, and others that clearly have some vested interest in controlling who gets to build what and where. When Claire Snyder-Hall says she stands opposed to the Overbrook Town Center, what she is really saying is, she stands opposed to creating jobs, she stands opposed to economic growth, and she stands opposed to local government making decisions on their own. 24 Comments on "Claire Snyder-Hall May Be Hiding Something"
Anyone who’s traveled that stretch of Route 1 would have to be blind not to see the already numerous and ample retail businesses. Moreover, Ms. Snyder-Hall’s doubts about the alleged economic benefits are shared by many Sussex residents, including some Republican legislators, as the NewsJournal article indicates. “Steve Smyk represents the House of Representatives district in which the shopping center would sit. He says he’s heard from plenty of constituents who aren’t happy, as well as some eager to know what stores it could bring. I can agree with numerous, but ample is a relative statement, who is to decide what is ample? In our capitalist system I would suggest it is up to the market. The investors of this new project surely will have researched their ability to sustain their venture. As for existing businesses, it will be up to them to compete. It is not up to government to pick winners and losers. If the developers meet requirements of both the DOT and the county then why shouldn’t they be granted the change of zoning? Also their is the property rights of the land owner to be able to sell his land, unless it can be shown that there will be real. not imagined harm to the surrounding area. It is the hypocrisy of those who moved here to fill up the surrounding developments, who added to the traffic problems, who shop at stores that they demanded, that is the problem for me. As for Ms. Claire Snyder-Hall, well she may be the biggest hypocrite of all, since as I said, she also moved here, and dares to condemn developers, at least those other than the ones who built the development she moved to, and she acts as if she is above taking money from special interest groups which is also false. As for Rep. Smyk’s comments, well I would say the same thing, it is a county issue, and state legislators should refrain from influencing, and his personal opinion is his own up, and until he act on it instead of what voters want. Sounds like he is hearing from both sides. Unlike Ms. Claire Snyder-Hall who states that “most” are in opposition. Rt1 was effectively gridlocked this summer. Perhaps you didn’t notice if you don’t frequent Eastern Sussex County. Can you imagine what a 870,000 square foot retail center will do to Rt1? Further, new shopping opportunities presume that there is new money to support both the existing shopping (Tanger Outlets) and existing shopping, or that the transportation architecture will be in place to ensure that traffic flows smoothly to those stores. Additionally, retail jobs rarely provide upward mobility for those in those jobs. At best they provide a source of additional income through part time work such as students or those who are in low wage jobs who need extra income. I would show you the data, but you can look it up yourself. I’m not going to spend any time picking apart your arguments, except to say, your private property rights end when you infringe on the communities rights to enjoyment of the roads and other aspects of civilization. In short, our right to get to the beach (or anywhere else I choose to go along Rt1 trump private property rights. They can build it but with no entry or exit on Rt1. Steve Smyk can ensure that development is managed appropriately by denying taxpayer highway funds that would be necessary for the roads on RT1 and Cave Neck Road. I intend to send him a message that my vote in the election conditioned upon his active opposition to any new road construction or modification for that purpose. And, the title of your post is question about what is Snyder-Hall hiding. You never answered the question, but I will also tell you that as someone who voted for Ernie Lopez last time, my vote this time will be based on what he says about the Overbrook Apocalypse. Dave, I work all over the county, and my job is located in eastern Sussex, so I spend most of my time on the road in the area of Rt. !. Congested? Sure. Gridlock? Not close. This is the same old argument from those who arrive first and then want to keep others out. As for the impact of the new center on traffic, well it is quite a ways north of where traditional traffic problems occur. As for your take on the types of jobs provided, well I have already pointed out that not all of the benefits will come only from actual jobs within the stores. So why don’t the rights of the property owner trumps your rights? Who decides? The County that’s who. 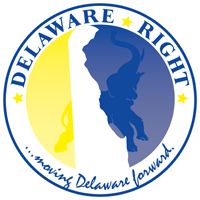 As for funding of any highway improvements needed or mandated by Del DOT, the developer will be paying for the overpass and like any development, any other improvements, that is already law. That is why this is not a state issue, it is a county issue, you would do better to contact you county council member. I just don’t understand why people are so negative about everything. Are you telling me Dave that if built you would never set foot in this Town Center? I would welcome such a center on the west side of the county, unfortunately I have chosen to live where there are not enough people to sustain such a center, you have unfortunately chosen to live where it make sense to build such a center. If you choose to live near the water, don’t get mad when it floods. Frank, didn’t you oppose the same size project for retail shopping with a casino that would have created thousands of jobs in Millsboro? Where was your stance on property rights then? Casinos are legal in Delaware. Sounds like you want it both ways or is this more about republicans and democrats because it’s an election year? Frank, you probably haven’t read the DELDOT Traffic Impact Study letter (dated, September 9, 2014) about the elimination of left turns on Cave Neck Road. Instead those want to travel to Milton or any development along way will be forced through two traffic circles inside of the shopping center in order to gain access to the overpass to go west on Cave Neck Road. In the military we had a term for that – it’s a “CF” (you can figure out what it stands for). Additionally you are incorrect in that it is quite a ways north of the where the congestion occurred. The congestion began before the Nassau Bridge. In fact, many locals trying to drive to their jobs were forced to go north to Cave Neck Road and Rt 16, in order to go west because going south was simply out of the question. My negative attitude regarding the Overbrook Apocalypse has to do with people who want to recreate the Northern Virginia, NJ, and Maryland metropolitan morass while insisting that it can be done without the commensurate tax increases. If you want a major mall, move to where one is. Don’t bring that crap here. You think it won’t change the character of SC? You think there won’t be a tax increases? You think there won’t be all the baggage that places like Christina Mall has? You’re living in a dream world. Maybe it’s because you haven’t seen what happens. Many of us have, which is why we chose to escape to here. Build It, I believe if you go back and read anything I wrote on the casino issue my opposition was due to the state’s involvement in casinos, not about traffic or creating jobs. If this project included casinos that the state were to run I would oppose it as well. But nice try. Dave, your use of the word Apocalypse seems a bit over the top, it shows an emotional reaction to this, I can only assume that you live on or near Cave Neck Rd., which I will admit would give you a larger dog in the fight then me. However, you say, “You think it won’t change the character of SC?”, very likely it will, much in the same way that the character of SC has been changed many times over by the coming of the refugees from surrounding states. Do you think that the developments you live in did not change the character of SC? This attitude reminds me quite a bit of the sheriff argument, you have chosen a space in time when everything is as you would have it and decided that nothing should change from that point on. If you are against the Town Center, then you must be against all new development because that too would effect the character of SC. I would be interested if you could link to the traffic study you mentioned. I for one would wonder that exiting and accessing an overpass might not actually be quicker than waiting to cross Rt. 1 for that left turn onto Cave Neck. Also there are many other ways to get to Milton, remember I drive this area for a living, that is not some isolated no outlet road you are talking about. You can not stop change. Change includes growth/progress. This is clearly an issue for the council in regard to the zoning needed. A great number of us remember the grass in the median on route 1 between Lewes and Rehoboth, as well as the corn where the sprawl is now. Alas you can not turn back the tide. No. Not at all. I am for managed growth and managed development. If there were a small retail center being planned, which provided some alternatives to traveling south for goods and services, I would be supportive of such developments. You might tend to look at things in a much more binary fashion – all or nothing. Remember I’m a moderate, so I don’t think or speak in those terms. The proposed center cannot be classified as anything but “huge” (http://www.delawareonline.com/story/news/local/2014/09/26/sussex-shopping-center-dwarf-rehoboths-outlets/16312981/). Managed growth to me considers variables that affect the quality of life. Traffic is a big consideration. Right now, you and I and others who live here avail ourselves of back roads, but when a major development plans to use the same back roads as a major entrance to a such a large complex, the back road is no longer a back road. All the western Sussex traffic would be funneled through such roads as Beaver Dam, Hudson, Cave Neck, etc. Roads that essential to our quality of life and for emergency services to reach us in a time of need. Just like sheriff issue, I have no objection to establishing a county law enforcement capability, when the demographics, including the population warrant that capability. What I object to is the fringe attempting to create their own sovereign militia, force, posse, whatever. In conclusion, I’m not against development or private property rights, but the needs of the many must have equal consideration to the needs of the few and many of us will be impacted by this very, very large development. Rights have limits (yelling fire, theatre, yaddda yadda) and development is necessary for growth and opportunity. But managing growth that fits the character of the community is essential and should be weighed towards providing necessary services and desired amenities, with the effect of such things on how we live, work and play and this county. P.S. No link to the TIS, but I can send it to you. Dave, you say you are for managed growth, it would seem as long as you, or like minded people are the ones doing the managing. I return to you character of SC comment. The very developments that you live in completely changed the rural agricultural character of SC. As for your argument about the few and the many, I would say that those opposed are the few since most likely is limited to people who live directly in the area surrounding the center, while the benefit would be to the many, since I believe that this project would benefit the entire county. Too often we can’t see beyond our own rights to realize that others have rights as well. You seem to oppose this based on the potential inconvenience it may cause you in traveling Rt.1. Well I wish they would do away with red lights, but that isn’t going to happen because the benefit to the many outweighs my inconvenience. Delacrat voices the opinion of those who are more than happy to have managed growth, as long as they are the ones managing it. Count me in with Delacrat. I would take my management acumen over those who think that farm equipment is going to be able to traverse traffic circles (or didn’t you remember that during harvest season, farm equipment traipsing down the road at a snail’s pace was actually legal?). Which by the way was not changed by “The very developments that you live in.” “The rural agricultural character of SC” still exists or I wouldn’t be seeing large farm equipment on the roads. Managed growth is coming to grips with compatibility of use for everyone in the community, not just the land owner. The community has personhood (hey if Bank of America is a person, then Sussex County is a person as well) and their personhood rights do not get trumped by another person’s rights. but the needs of the many must have equal consideration to the needs of the few and many of us will be impacted by this very, very large development. I would count the unemployed in Sussex and Kent County as the “many” who most likely outnumber the NIMBYS in the area. Is Dave’s need for less traffic more important than the need for people to put food on their tables? Oh, that’s right, these are just retail jobs, we can just throw them away, it’s not like retail stores employ higher wage earners like managers and executives. I have an idea, if people like Dave want less traffic congestion, then let Allen Harim build their 2 million chickens a week poultry plant there, then we get jobs without the traffic issues. Problem solved. I forgot to ask my question. Why am I not surprised that anti business candidate Steve Smyk is going to testify against this project at CC? If the developers put a prison in the plans would he like it more? Dave, I must have fallen asleep and missed when that area was reduced to a single road. Please just admit it, you don’t want this because it would inconvenience you personally. Admit that you don/t care about people who need the jobs this would create, but please remember that not everyone is retired with a government pension. And there you have it. What lengths won’t politicians go to in order to not take a stand? What politicians are in the developer’s bag to get this approved once they get re-elected? Yeah, I’m pretty sure we have a good idea who will be greasing the skids for them once the election is over. It’s pretty clear to me and it will effect my vote. I can’t do that because the truth is, it will have no effect on me individually. I will not be living anywhere near the shopping center. However, I do believe it to be bad for the area. And yes I am willing to “let Allen Harim build their 2 million chickens a week poultry plant there.” At least the pay would be better and unlike retail, it won’t be seasonal employment. Good idea, question (although I know you were just trying to get a dig in). So, yep chicken plant works for me! Dave, you do understand that this is a county land use issue? Right? So when you talk of greasing skids you must be talking about county council. This was one of my point in the original post. Snyder-Hall and other candidates for state government should not be talking about this at all. You seem determined to tie this to someone to justify not voting for them. By the way, “LESS JOBS, MORE WELFARE” would make a great Snyder-Hall campaign sticker. You do realize it’s also a stat issue because the roads and the environmental considerations? No roads, no center. Dave, you do realize that the developer was going to pay for the upgrades, including the overpass? Hey, take the victory lap, you and yours managed to stop jobs, you are now in a league with Don Ayotte and the IPODs who worked to block the chicken plant in Millsboro. How’s that feel? Frank, ask yourself: From whom will the developer ultimately get the $$ for the “upgrades” ? Those costs are ultimately passed on to customers in higher prices or employees in lower wages. Okay you guys are right, just put up the walls and bring up the bridge, we have let enough outsiders in and we don’t need any more jobs. You guys got in and that is all that matters. I heard Ms-Mrs.-Miss Snyder-Hall on 105.9 today taking a victory lap about being the new Don Ayotte and blocking jobs. She stated that she accepts money from unions because she supports labor unions. REALLY? I wonder how many union jobs were lost by this project being pulled? She still either doesn’t understand that this is not a state issue, or she is showing her centralized government credentials. She did say that she believes that the state should play a larger role in deciding these types of land use issues. So she believe that Dover should decide how we in Sussex manage development. Tell me Dave, if she were to get her way and give over more power to Dover, and then the pendulum swung the other way and republicans were in power, how would you feel about Dover telling you that you were going to have this project and any other project they decided was good for you. You see backing these left leaning liberal candidates on your single issue can lead to real trouble with unintended consequences. As for the cost of intersection improvements, Cave Neck has been a problem for sometime, these improvements would actually make it safer, and if tax payers had to kick in some money, well isn’t that the government’s job? The upkeep of the roads?